I ran across this one on Digg.com. Wearing a Guy Fawkes mask is fun. Even in Toronto and Minnesota where they froze in sub-zero temperatures it was a lark. In fact “epic” is the description I read most. But when you are standing outside my church, who are you really attacking? Because it’s a who, not a what. My church is real people, like me. I’m a Scientologist. I’m a real person. Not only that, I love my church and the people who work there. They are the hardest working people I know and they do it because they want to help, and are helping people all the time. I’m a Volunteer Minister. And that’s something I’m really proud of. A good friend who’s a Volunteer Minister (VM) went to Katrina two years ago. He told me he’ll never forget the two weeks he was there. He closed down his office and just took off for Louisiana, and spent two weeks just helping people in the shelters. He was one of about 900 VMs who went to help. I have friends from Florida who drove out as soon as they heard the storm was coming. They thought they knew what to expect cuz they manned shelters and ran food and water out to victims of Florida hurricanes for a few years. But, like the rest of us, they were completely shocked by how brutal Katrina was and how unprepared everyone was to cope with it. There was a Scientologist from some other part of Louisiana who’s a doctor. He and another doctor got into the quarantined part of New Orleans and brought VMs with him to help the police and rescue workers. The doctors gave them tetanus shots. The VMs helped them keep their sanity despite all the wreckage and dead bodies. The whole Scientology Mission in Baton Rouge was turned into a relief center. Scientologists manned shelters in Baton Rouge, Lafayette, New Orleans and Vermilion Parish. And the Scientology church in Houston, TX manned shelters there. I know two of the Scientologists who went to Jakarta last year when it was hit by an earthquake and they ended up working in the makeshift extension to the hospital that had to put people on mattresses on the floor of the parking structure to cope with the overload. They trained the nurses on how to do Scientology procedures that help people recover from trauma and the nurses were amazed at how fast patients were recovering. They also trained family members because the hospital was so short-handed they were having the parents or husbands or wives take care of the victims – they just couldn’t get to them all themselves. I could probably go on for an hour. But I think you get the point—we are decent caring people and I am proud to be part of a movement that puts out to help people who need help. And it makes me sick to hear the lies people spread about us. Anonymous says it isn’t attacking Scientologists. In the same breath they say they intend to destroy my church. If you were Catholic and someone was planning on destroy the Catholic Church how do you think you’d feel? 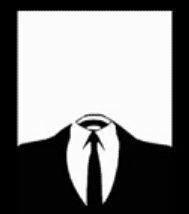 If you saw Anonymous videos on YouTube tracking people down and publishing their addresses and phone numbers because they criticized what Anonymous was doing, and then you saw them threatening to destroy your community, how would you feel? This has gotten completely out of hand. And it’s NOT fun. It’s criminal and it’s nuts. Whoever wrote this, this is right. It is personal. Don’t hide behind a mask. If you have a problem with a Scientologist, talk to someone. You would expect the same if someone was coming after what was important to you.